Laboratory studies have shown that parasites affect the health and performance of birds. Body weight, feed efficiency and general health are poorer in birds that are exposed to even small amounts of infestation of parasites. 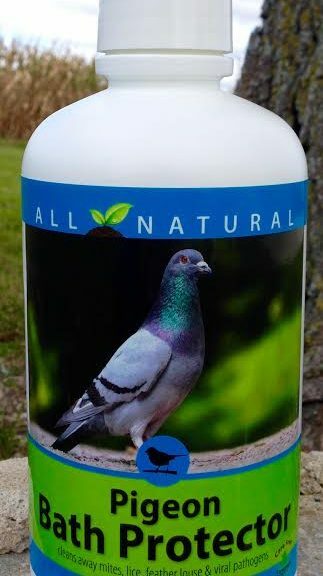 Pigeon Bath Protector is effective in cleaning away parasites. A healthy bird is displays a better demeanor and has a longer lifespan.